address in your account profile. Any user of the software and / or games and / or promotions offered by the Casino. PLAY2WIN CASINO, including all software and content and services rendered on www.play2wincasino.com and associated URLs. Game software including various programs and data files. The software requires a remote downloading on the user's computer or mobile device or can be accessed directly on the Casino's website. 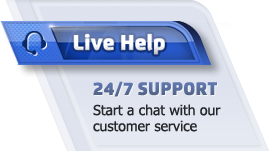 Services, support, offers and assistance offered by The Casino to its users. Amount of money on the user's account balance; Amount of game chips/money available to use. 1 Credit = 1€,1£,1$,1AUD,10ZAR (approximately). The number of times a sum of credits has to be wagered, staked or bet before the balance is eligible for withdrawal. Also known as Rollover requirement. 2. Have fully accepted the terms and conditions and will abide by them in all dealings with the Casino and / or the Casino software. If any clause is found to be void, invalid, or unenforceable for any reason, the remaining terms and conditions shall remain of full force and effect. The Terms and Conditions outlined herein supersede and overwrite any other terms offered by the Casino. The Casino is registered, licensed and regulated by the Government of Curacao for the purpose of operating an online casino. 1.1. Playing at PLAY2WIN CASINO is restricted to adults only. Players must be 25 years of age or older to play. Age restriction may change according to local national law, and it is the responsibility of the player to check for the minimum age allowed in their country. The Casino reserves the right to require age verification from the player at any time. 1.2. The player accepts that the Casino may change, add or subtract from the terms and conditions at any time without previous warning, and it is the responsibility of the player to periodically check the terms and conditions written here for changes that may affect them. Lack of knowledge of said terms and conditions does not constitute a valid reason to any violation of the rules and conditions set here, from the moment of opening a new account in casino. 1.3. All decisions made by the Casino are final, and will comply with the terms and conditions set out in this document. By registering in the Casino, the player agrees to accept any and all decisions made by the Casino as final and deciding. 1.4. The Casino will bear no liability or responsibility, either directly or indirectly, as regarding the player's legal right to play at an online casino with real money. This includes any employees, licensees, distributors, wholesalers, affiliates, subsidiaries, advertising, promotion or other agencies, media partners, agents or retailers claim or been seen to claim authorization to make any such representations or warranties. It is the sole responsibility of the player to check the local law and abide by it responsibly. The Casino will carry no liability for any infringement of the law by the player. 1.5. Any games, services or promotions offered by the Casino are purely meant for entertainment purposes, and not as a financial system. An option exists to play with fake credits that do not equal real money. Playing for real money is the sole decision of the player, and in doing so, the player fully accepts any risks involved by playing with real credits. 1.6. Any fees, taxes, transfer fees or other financial responsibilities or consequences related to using the games and / or services offered by the Casino are the responsibility of the player and the player alone. 1.7. The player will not hold the Casino nor any agency, employee, partner or media related to the Casino liable for any damages, costs, expenses or liabilities incurred by using and / or accepting services from the Casino nor for any activity of the player related to the Casino. 1.8. The Casino will not bear any responsibility or liability for any technical errors occurring in the software which are related to the player's internet connection, personal computer software or personal computer hardware. Any interruptions in internet service are the responsibility of the player and the Casino will not compensate nor bear any liability for interruptions caused by a technical issue on the player's side, including but not limited to internet disconnections. Any other technical faults must be submitted in writing and include a screenshot so that the Casino may verify its authenticity. 1.9. The player hereby agrees that the registered identity to their casino account will be the only person logging into said account and using and/or playing with the Casino software or website. Any infringement of said agreement (i.e. use of the account by a different person) will be considered a breach of terms and conditions and grounds for termination of the account and forfeiture of any winnings. The account is not transferable in any way nor can the user be changed for the account. Any new users must open a new account or be in violation of terms and conditions. 1.10. The Casino reserves the right to change, add or subtract from the games and / or services it offers, at any time, without prior announcement or update. Terms and conditions may be changed or altered and the player accepts this as part of the prerogative of the website to do so when and if necessary. 1.11. The player further indisputably agrees to indemnify PLAY2WIN CASINO, its employees, officers, directors and any and all associated or affiliated persons or organizations against any and all costs, expenses, liabilities and damages arising from any legal or other action taken either by or against the Player arising from any and all action within the Casino and/or any of its employees, officers, directors and any and all associated or affiliated persons or organizations. This occurrence shall include (but not limited to) any legal implication that might arise as a result of the criminalization of online/Internet wagering within the Players jurisdiction, territory or country. 1.12. The player accepts any and all game results shown by the Casino software or website as true. Any disputes regarding the outcome of games played will be decided by results from the game server, and these will determine the final decision of the Casino. If for any reason the player is not totally satisfied with the terms and conditions laid out before them, then the player is within their rights to discontinue playing and remove the software from his/her computer. Furthermore, a player who is unsatisfied with his/her personal gaming experience at the Casino and wishes to close their account, bears responsibly for manually closing or freezing said account from within the Casino software and to remove any software associated with the casino from their computer or mobile devices. Legal age restrictions and strict adherences to the policies of age as agreed by the jurisdiction of the said territories to comply with the said law of that territory are full enforced by the Casino. This is clearly defined by no player under the age of 25 years of age is permitted to play at the casino regardless of gender. 1.13. In the event of a complaint or grievance or technical complaint or dispute in the Casino, the complaint must be submitted in writing within five (5) days of the event. If the complaint is received after this time, the casino reserves the right not to address the matter. However, if there are extenuating circumstances; for example: A Player is incapacitated or otherwise unavailable for comment, we will address these issues on a case by case basis but reserve the right to invoke the five (5) day rule above. 1.14. The player accepts all decisions made by the Casino as final. 1.15. Any funds remaining in the balance of an account at the time of closure cannot be withdrawn. This included all and any pending withdrawals. 2.1. The following actions by the player will be considered a violation of the terms and conditions of the Casino, but not limited to this list. Consequences may include termination of the player's casino account, confiscation of winnings and existing balances, denial of services, promotions and any other offers by the Casino. •	More than one account at PLAY2WIN CASINO and/or more than one account per household and/or more than one account per device, and/or more than one account from the same IP address, and/or more than one account on an affiliated sister casino under the same management as PLAY2WIN CASINO. •	Should at any time, the casino discover a linkage or connection to a fraudulent, suspended or refunded or previously closed account on any brand within the Rival network or any other online casino. •	Should at any time the casino discover an active or past complaint/dispute/criticism on a public forum or blog or any other type of website. •	Should at any time the player abuse, harass or speak inappropriately to any of the Casino staff, including verbal and written threats or intimidation. •	A mismatch on the Player's Casino account not matching the name on the credit card(s) or payment method(s) used to make deposits on the account. •	Incorrect or false registration information. •	The player is playing from a territory or region not fully authorized to allow online gaming. •	The player is not of the required legal age according to the Casino Terms and Conditions. •	If the Player has allowed or permitted (intentionally or unintentionally) another player to play on their own Casino account. •	If an individual has not played in the Casino purely as an entertainment and has only participated in a professional capacity or in association with another player from another club or group or part thereof. •	If the Player has been found deliberately making a 'chargeback' or 'dispute' of funds deposited from their credit card, or any other payment method, into their Casino account; or have been found to have made a 'chargeback' or threatened to do so in any other capacity on a sister casino on the Rival platform or any other online casino or website. This includes verbal and written threats to dispute, chargeback or stop transaction. •	If the Player is discovered to be cheating or has been found making irregular betting patterns, or suspicious or irregular betting strategies and or the Player has instigated a system (i.e. Martingale, machines, computers, software or any other form of automation) to proliferate a cheat designed for the Casino to lose revenue due to this operation. •	The player is linked to any employee, ex-employee, company, third party or agency connected to the Casino currently or in the past. •	The player has made any attempts to 'hack' the Casino software or website, or made any changes to it in any way not specifically allowed by the Casino. 2.2. Should the casino learn any of the above rulings listed be affected by the player at any other web-based casino, PLAY2WIN CASINO will act accordingly. 2.3. In acceptance of said rulings and any other conditions outlined herein, the player agrees to any promotional or advertising events upon acceptance of any prize and/or winnings that have been accrued from PLAY2WIN CASINO and thereby endorses the use of that players username, country or real first name for the said practice without any compensation or payment to the player. Example: Should a Player win a large Jackpot and the Casino wishes to advertise the win, the Casino withholds the right to use the player's username, country and/or real first name and post the win on the Casino site, a magazine, another website or any other media of the Casino's choosing. 3.1. The Casino website authorizes the users to download, install and use our games software in order to play online. 3.2. The Casino is committed to offering fair and honest games and confirms the software and all games offered by PLAY2WIN CASINO rely on an audited and validated Random Number Generator (RNG) by a third party ensuring that all games are fair and honest. 3.3. The Casino reserves the right to modify the balance on a user's account to redeem sums owed to the Casino. 3.4. The user agrees to pay all sums due to PLAY2WIN CASINO and to never try to re-attribute, deny, revoke, dispute, chargeback, block, hold or cancel any of these payments. 3.5. If the user has deposited or withdrawn funds using an E-Wallet such as MoneyBookers, Neteller or EcoCard, the Casino may request copies of other transactions showing that specific E-Wallet in use. 3.6. Any illegal or criminal activity made by the player will result in immediate termination of the Casino account and the Casino reserves the right to inform the proper authorities and other online casinos and merchants of these actions with full disclosure. 3.7. The Casino reserves the right to change any of its offered services at any time, including a temporary unavailability of customer support, technical support or any other services given to the player. 3.8. In the event of technical failure or computer glitch, all bets in play may be considered null and void. The Casino cannot be held responsible for losses, wins or other issues generated by a technical failure or glitch in any way or form. 3.9. Should a player abstain from logging into their Casino account for a period of 90 days or more or the player 90 days without making a single bet or wager, the Casino will be entitled to any balance in that players account and the sum forfeit. Should the player wish to withdraw this amount after this period, we will examine each situation on a case by case basis but reserve the right to invoke the above 3 month rule. 4.1. All and any free bonuses and deposit bonuses cannot be withdrawn from the Casino, and are meant to enhance game time only. Upon withdrawal, the bonus amounts will be deducted by the Casino before the withdrawal is sent. 4.2. All bonus money will be removed at the point of cash out, bonus money is money that can be used to help generate winnings but cannot be withdrawn as part of the winnings. The bonus will be treated as 'Non-Withdrawable' and will not be reissued to your account but deducted from the winnings by the casinos withdrawal manager during the payout process. Cashback money is also 'Non-Withdrawable' and the casino reserves the right to deducted cashback money from a players' pending withdrawal. 4.3. Bonuses, unless specifically specified by the Casino beforehand, carry a wagering requirement that must be completed before a player can withdraw. 4.4. All cashback promotions carry a wagering requirement of 1X. Players cannot withdraw a cashback bonus until the sum of the cashback is wagered in full. All cashback money is restricted to a maximum withdrawal limit of 10X the cashback amount. This includes cashback awarded as 'gifts', 'comps' or 'free chips'. The Casino reserves the right to deduct Cashback money from a pending withdrawal. 4.5. All cashback money won from a Tournament prize, Raffle prize or Special Promotion have a maximum withdrawal limit of 5X the cashback bonus and carry a wagering requirement of 1X. All bonuses of 200% or more, cashback insurance of 75% or more will be considered a Special Promotions. The Casino reserves the right to deduct Cashback money from a pending withdrawal. Players who have a pending withdrawal or balance of over 100 $/€/£/ do not qualify to receive Tournament prizes or to receive cash from a Raffle or cashback from any ongoing Cashback promotion or any other special promotion offered by the Promotions Team. 4.6. It is the responsibility of the player to be aware of the details of the bonus they request or is given to them, including the wagering requirement, restricted games and any other details, terms and requirements associated with said bonus. 4.7. Players choosing not to play with bonuses, must state so before starting to play with a bonus. If a player does not want the bonus that has been deposited into their account by the casino, then they are entitled to request a casino customer support representative reverse the bonus out of their casino account, by way of email, telephone call or live Chat. If a bonus is received and a wager is made (of any amount), the bonus will have to be played all the way through, until the balance is zero or the wagering requirement is complete. If the player has not begun to play, support will remove the bonus should they ask for it. 4.8. Free bonuses (Comps, Free Chips, converted Comp Points or any other non-deposit bonuses) are playable bonuses awarded to player so they may play free of charge. Free bonuses have a different wagering requirement than other bonuses, and have a fixed withdrawal limit of no more than 100 Credits (100 $,€,£,AUD, or 1000 ZAR). Any remaining or extra balance is 'Non-Withdrawable' and is to be cleared from a player's balance. Each player is allowed to withdraw winnings from a free bonus only once during his/her gaming lifetime unless specifically approved by the casino manager. 4.9. A player who has never made a deposit and wishes to withdraw a free chip win, is required to first make one successful minimum deposit of 25.00 ($,€,£,AUD, or 250 ZAR). This first deposit amount is not allowed to be withdrawn or added to an existing pending withdrawal. If added to an existing withdrawal, the amount will be deducted from the total withdrawal amount. A players who has previously made a successful deposit and is now wishing to withdraw a free chip win, is required to have deposited within the last 30 days in order for the withdrawal to be approved and the deposit cannot be added to an existing pending withdrawal. If added to an existing withdrawal, the amount will be deducted from the total withdrawal amount. Free Bonuses (Free Chips) have a wagering requirement of 20X to 60X unless otherwise specified. 4.10. All promotions offered by the Casino are only valid for the period specified in the promotional offer itself which is posted on the Casino website and/or any other communication provided by the Casino itself. 4.11. A bonus equal to or greater than 200% that has been claimed with any deposit, will be subject to a max cashout of 10x the deposit amount. 5.1. All Deposits of 249 USD/EURO/GBP/AUS or less have a max withdrawal of 10X the deposit for that specific play session (all other currencies pegged to USD). Once a withdrawal is approved, the casino applies the 10X rule and corrects the withdrawal to accurately reflect the 10X rule. The remaining funds are deemed 'Non-Withdrawable' and are cleared from the player's balance. Deposit bonuses used during a play session that results in a pending withdrawal request, are also 'Non-Withdrawable' and can be deducted from that particular pending withdrawal. 5.2. Customers can submit their withdrawal request at anytime. The approval time may take fifteen - eighteen (15 - 18) working days starting the date authorization process was completed successfully. Processing a pending withdrawal requires authorization from the Fraud department as well. 5.3. Any and all bonuses redeemed by the player cannot be withdrawn or redeemed from the Casino, and will be removed from the player's winnings upon processing of the withdrawal. 5.4. We reserve the right to charge a withdrawal fee of 10-40 $,€,£ (Wire, Netteller, Direct-to-Card etc). Fees are based on location, deposit method and VIP Level, determined by our payment processor from time to time and are the responsibility of the individual player to absorb. 5.5. For a withdrawal to be approved, the player will be asked to submit certain documentation and information in order to verify the account. Failure to comply or failure to submit said documents and information 30 days from the time the withdrawal was requested, will result in the withdrawal being cancelled. It is the responsibility of the individual player to send the required documentation. Withdrawal approval depends on all conditions outlined and the verification of all required documents. 5.6. A player may not withdraw winnings as long as there is still a wagering requirement attached to their balance. They must complete the wagering requirements before making a withdrawal request, or risk having the withdrawal denied. 5.7. The casino has the right to refuse or withhold a bonus or winnings in the event of a deposit being cancelled, returned or denied by any payment service or processor at anytime. 5.8. If the player has wagered on restricted games with a bonus that does not allow said games, the Casino reserves the right to cancel any withdrawal and confiscate any winnings. Before starting to play with a deposit bonus or free chip, it is the responsibility of the player to check and understand what are the restrictions of that particular bonus or chip. 5.9. Unless otherwise specified, and although there are no upper limits to cashable winnings, the Casino operates a maximum withdrawal limit of 10,000 credits per month and 1,500 credits per withdrawal. For withdrawals above the monthly threshold, payments will be met in installments until the full amount is paid out. This threshold does not apply to progressive jackpot. Players are allowed to withdraw up to 1,500 credits (equal to 1,500 USD) per request. If the amount wished to be withdrawn is greater than 1,500 then the remaining funds are left in the account. Once the first withdrawal is approved, a player can request an addition withdrawal with the money in his account. A Player has the right to cancel the withdrawal request at any time while it is still pending. This also applies to the withdrawals of progressive jackpots. 5.10. The minimum amount for a withdrawal is 100 €/$/£/AUD or 1000 ZAR. 5.11. Any and all deposits must be wagered at least once (1X) the sum of the deposit in order to qualify for a withdrawal. A withdrawal cannot be approved unless a minimum wager of 1X the deposit is first met. Deposits made as part of promotions are subject to that specific promotion's Terms and Conditions and wagering requirement. 5.12. By depositing funds into your account, you direct us and we agree to hold them, along with any winnings, for the sole and specific purpose of using them (i) to place any gaming wagers; and (ii) to settle any fees or charges that you might incur in connection with the use of our services. We reserve the right to charge a fee of 3% - 6.5% for the processing of Credit Card deposits. 6.1. The Casino is obligated to keep all personal information given by the player safe and secure. Any details submitted by the player to the Casino at any point, will remain solely with the Casino and will not be given out to any third party or agency. 6.2. It is the sole responsibility of the player to keep all user names and passwords related to their casino account safe and secure. The Casino will not carry liability for any use of the account details by a person who is not the originally registered player. 6.3. The Casino retains the right to use the player's name as part of promotional events (e.g. publish a big win by said player), without any compensation or payment made to said player and will not be required to seek preapproval by the player. 6.4. The Terms and Conditions outlined define a final and exclusive understanding and agreement between You (the Player) and the Casino and complete all previous agreements, representations and understandings between You and PLAY2WIN CASINO with regards to your participation in the Casino. 6.5. The Casino reserves the right to withhold depositing or withdraw any credits or bonuses at our discretion. The Casino reserves the right to withdraw or amend the terms of this program at any given time or without prior notice. 6.7. Via this contract, The Casino grants the user a revocable, nonexclusive and non transferable right, to use its website, its software and/or its service as well as all linked services. This right also extends to the royalties and all the rights of intellectual ownership being attached to it. 6.8. The user recognizes and accepts that the copyright, the mark and all other rights of intellectual ownership being exerted on any material and/or provided contents and belonging to the website and/or the software of casino, remain our strict property. The user can use the above mentioned material only in agreement with these terms and conditions. 6.9. PLAY2WIN CASINO is the trade name of the Casino, and the Player has no rights to use or employ such a term, or any other terms, graphics, text, concepts or methodologies, by participating in the Web Site and the material contained therein. 6.10. The user recognizes and accepts the fact that the material and the contents reproduced on the website of the Casino are placed at their disposal only as non commercial titles. This material and these contents should be downloaded on the hard disk of a computer only to serve this goal. If any of the materials of the Casino games are interfered with mutilated, forged or damaged they become void and unusable. Regardless of how they are obtained whether physically or electronically. Material liability of the Casino games that contains any error is only limited to a replacement of the same material. 6.11. Any other use is strictly prohibited as well as the copy, falsification, the reproduction, the publication, the transmission and the distribution of work derived from this material and these contents. 6.12. Possible criminal or suspicious actions may be reported to the appropriate authority. When called upon to do so Players may need to produce certain verification documents when transacting with the casino in withdrawals or deposits. Proof of such could be clear photo identification, proof of address, credit card copies and purchase declaration forms. This requirement is to validate the security of our players and in compliance with Gaming regulations. 6.13. This contract is regarded as duly signed and accepted by the two parties: The Casino and the User. 6.14. The Terms and Conditions outlined define a final and exclusive understanding and agreement between You (the Player) and PLAY2WIN CASINO and complete all previous agreements, representations and understandings between You and PLAY2WIN CASINO with regards to your participation in the Casino. 7.1. The general terms and conditions apply to the refer-a-friend program and all other programs offered by PLAY2WIN CASINO. By submitting all required information into the refer-a-friend program, both you and the referred party (person being referred) consent to all terms of this program and the referred party has consented to their data being supplied by you the referring party. By submitting this information, the referred party consents to having an email sent to him/her by PLAY2WIN CASINO requesting him/her to sign up for a real player account. By submitting information into the refer-a-friend program, the referred party is fully aware that the referring party has submitted their details in good faith. 7.2. Persons utilizing the same computer (registering from the same IP address) will not be permitted to partake in the refer-a-friend bonus for security purposes. Referred players must not be existing members of PLAY2WIN CASINO. The email address provided by the referring party must not be associated with any current player of PLAY2WIN CASINO nor shall it be the same email as the referring member. 7.3. The referring member will be required to fill out specific information about his/her referred friend; this information includes, but is not limited to their given name, surname and email address. After all required information has been provided, submitted and then verified by PLAY2WIN CASINO, then and only then shall the bonus be supplied to both the referring and referred members. 7.4. In order to qualify for the refer-a-friend bonus, the referred party must first sign up for a real money account and deposit a minimum of 100 $,€,£ into that account. Both the referring friend and the referred friend will receive their bonus only after the referred friend has deposited 100 $,€,£ into their real player account and must allow for 48 hours before receiving the bonus in their real player accounts.